The Bottom Line: Oh To Be A Frog! The weed huggers, the U.S. Fish and Wildlife Service, and the Bureau of Land Management, seem to be doing their very best to take control of all the land in the country one weed and one critter at a time. The latest popular bug, fish or animal, in this case is an amphibian called the Sierra Nevada yellow-legged frog it is one of three frog species at the center of a lawsuit filed challenging the federal government’s decision to steal 1.8 million more acres in rural California as a “critical habitat” for frogs. Ranchers and farmers say the designation hurts their livelihoods, and does nothing but provide fuel for wild fires. Millions of these tiny frogs and toads swarm over the Sierra Nevada. Now, the government says nearly 2 million acres of land needs to be off limits to humans and preserved for the frogs to prevent them from going extinct. California ranchers and logging groups say those protections are hurting their ability to make a living, so another conflict over the Endangered Species Act is going to court. The California Farm Bureau and two ranchers’ associations sued the U.S. Fish and Wildlife Service on Monday, challenging a year-old decision to designate more than 1.8 million acres of rural California as “critical habitat” for three species of frogs and toads that are protected by the Endangered Species Act. Loggers and ranchers who harvest timber or graze cattle on public lands assert that the new restrictions on land use will eventually make it more difficult – if not impossible – to make a living in the Sierra, said Shaun Crook, a Tuolumne County cattle rancher whose family also owns a logging company. It has the economic impact of putting you out of business is what that reality could be,” said Crook, president of the Tuolumne County Farm Bureau. Even though the designation was made a year ago, Crook said federal officials haven’t yet told him how the protections will affect his cattle, which graze on federal lands. But he said he and other ranchers worry that major tracts of land will be put off limits or they’ll be required to install fencing around protected areas. includes portions of Placer and El Dorado counties. 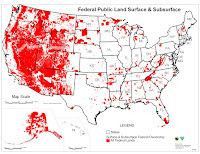 Most of the land is illegally owned by the Federal government/BLM, and is in designated wilderness areas, where the “highest level of conservation protection” on federal land is required, according to the Fish and Wildlife Service. 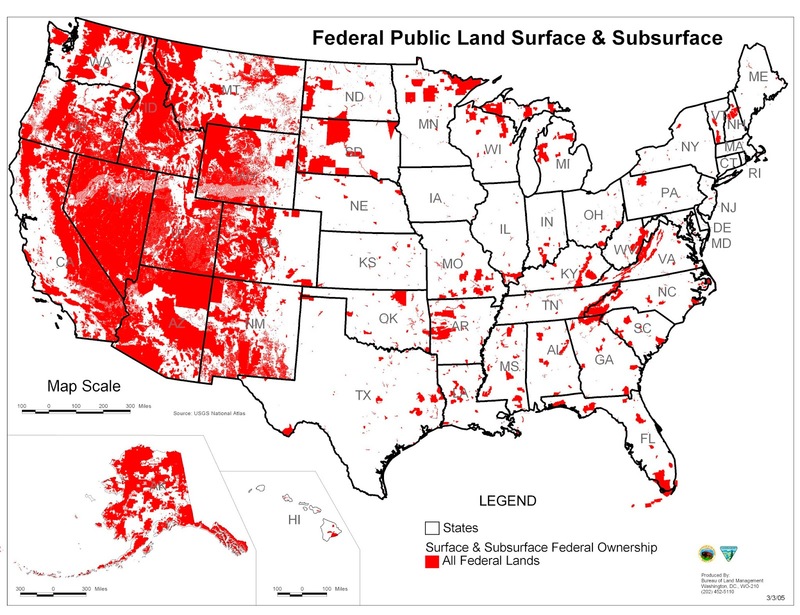 The Federal Government’s Bureau of land Management BLM already illegally owns and controls nearly 40 % of all the land mass in the United States, yes that’s it in red my friend. Take a close look at that swath of land north to south along the California Nevada border. It all belongs to the Federal Mafia called the BLM. Check out the state of Nevada, except for Reno/Sparks and Las Vegas, the entire state has been illegally confiscated by the BLM. Now’ they want to give it to the weeds, bugs, and critters, and stop the American people from even setting foot on public property. Are we going to have another stand off - like the Bundy’s of Nevada and the Oregon issue? At issue is the fate of the Sierra Nevada yellow-legged frog and mountain yellow-legged frog, named for the yellow on the undersides of their legs and abdomens. The third species is the Yosemite toad, named for the national park where it was first discovered. “Other habitat management, like livestock grazing in some areas, has an impact, and of course climate change and drought can impact them as well,” said Jenny Loda, a staff attorney at the Center for Biological Diversity. If land is overgrazed, the vegetation might not hide the frogs from predators, she said. Of course the fact that putting a stop to cattle grazing is going to have an impact on the wild grass growth, increasing the fire danger in the Sierra apparently is not an issue for the Federal government, but it might be for those who live in California. Environmentalists say extra protections are critical for the frog that have been hit with a one-two punch from nonnative predatory fish and the chytrid fungus, a disease that is devastating amphibians around the world. In 2006, the Federal Center for Biological Diversity sued the state, alleging the Sierra frog species are disappearing in large part because California State Fisheries managers have for decades been introducing non-native trout for anglers to catch in the frogs’ alpine lake habitat. Well…I have been fishing for trout in the foothills, and the high Sierra Nevada Mountains for nearly 70 years and unless I am totally wako along with the California State Fisheries managers, trout are in fact native to California, including the Coastal Cutthroat Trout, the California Golden Trout, and the Eagle Lake Rainbow Trout. the Kern River Rainbow Trout, the McCloud River Redband Trout, the Goose Lake Redband Trout, the Sierra Brook Trout and even the German Brown Trout found only in deep cold water lakes where frogs fear to tread. Just what nonnative trout are the weed lovers talking about? My guess is that they have been smoking too many funny cigarettes again. In response to the suit, the state began reviewing its stocking program and limiting hatchery releases in certain lakes. The environmental group had hoped to ban such stocking entirely in lakes where the frogs were present, but in 2015, a state appellate court ruled that the hatchery program could continue and that the state’s environmental reviews were adequate. Meanwhile, the weed hugging officials are considering placing yet another frog species under protection. In June, the California Fish and Game Commission formally declared the foothill yellow-legged frog a candidate species for listing as threatened under the state's Endangered Species Act. The frogs live in lower elevations from Oregon to Los Angeles. State biologists say the species has disappeared from more than half of its range in California and Oregon. THE BOTTOM LINE: I too own property in the Sierra foot hills, so should I expect to hear from the weed huggers, buggers and froggers that I have to give my property back to the lower life forms? What about the human species, aren’t we part of the ecological equation? Or have we just become a bunch of troublesome dumbo’s that are just trying to destroy the earth one weed and carbon molecule at a time? What about the hypocrisy of the weed hugging Darwinists and their so-called survival of the fittest. I guess that theory is used only when it is convenient. There are more than 4700 different species of frogs and toads on the planet, more than a 104 of those species live in the continental U.S., I really don’t think we are going to run out of the little bug beggars anytime soon. But if we trade people for frogs, we just might run out of people. 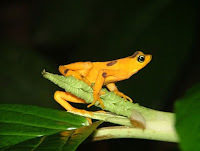 Are the frogs going to put us on the endangered species list? Probably not! P.S. If I have to, I will fight the frogs and the weed huggers for my property, what about you? Maybe a prince will come along an kiss the frog waking the princess.